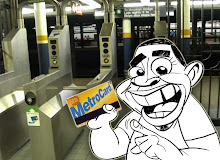 subwaysurfer blogggg: WANNA MAKE SOME MONEY? Congrats for making it to this page!Yes, this is legitimate, and NO, it's NOT a Multi Level Marketing Scam. If you've come this far, take one more step and listen to the audio podcast, or click on the link that leads you to the podcast page. OKAY! NOW CHECK OUT THE VIDEO AND WATCH ME IN ACTION! I work in the New York City area. My jurisdiction covers the five boros of Brooklyn, Queens, Bronx,Staten Island, and Manhattan. I also cover parts of Long Island,Nassau and Suffox County. WHAT TYPE OF ENTERTAINMENT SERVICES DO YOU PROVIDE? Live Party Caricature is what I do! Don't need a posse, or a crew! In an hours time, I can draw 15 to 20 people on my line! Since 1990 I've been sketching, stretching, cartooning, and lampooning faces in all kinds of places, of every gender and all the races! Did I mention, that I absolutely love this profession! HOW DID YOU BECOME A CARICATURE ENTERTAINER? While working as a graphic artist for The Canarsie Courier newspaper. I did an ad for a local party planner, Larry Youngstein, at Havin'A Party. After I did the ad, I went to his store, introduced myself, and auditioned. At the time he didn't have an artist in his stable of performers, so I became his number one! Larry thought me the ropes about the live entertainment business, and I will always be grateful to him. WHAT IS YOUR FAVORITE KIND OF EVENT? I really love them all, as every event has it's own vibe, and favor. I love BIG events like trade shows, corporate parties, and conventions. I have a big personality myself, and enjoy the interaction with a diverse group of people. There's a special place in my heart for Bar and Bat Mitzvahs though! I've probably done more than the average Rabbi! 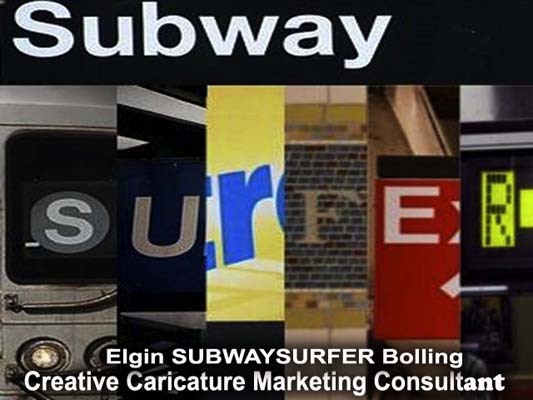 My most memorable caricature event was on a New York Subway train! I was returning home late on night from a gig, entered the subway car, and came face to face with a group of gang bangers. As one approached me, I whipped out my sketch pad, drew him quickly, and handed it to him! He was so shocked and delighted, that it instantly dissipated the tension in the train car, and within minutes, I was drawing the whole gang! I managed to escape that encounter without serious injury! How's THAT for memorable? HERES THE CALL TO ACTION FOLKS!!! Folks I'm ready willing able, anxious and available to make your next party or special event memorable! I m one of NYC's most sought after Caricature Entertainers!